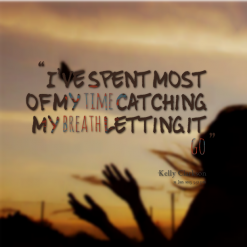 I've Spent Most Of My Time Catching My Breath Letting It Go. To love is beautiful. To love and hate is painful.